During the last twenty-five years quite remarkable relations between nonas- sociative algebra and differential geometry have been discovered in our work. 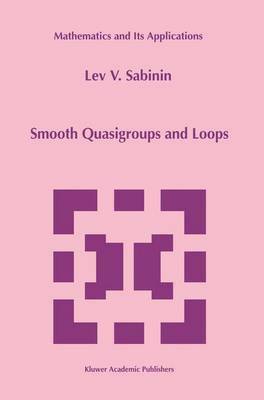 Such exotic structures of algebra as quasigroups and loops were obtained from purely geometric structures such as affinely connected spaces. The notion ofodule was introduced as a fundamental algebraic invariant of differential geometry. For any space with an affine connection loopuscular, odular and geoodular structures (partial smooth algebras of a special kind) were introduced and studied. As it happened, the natural geoodular structure of an affinely connected space al- lows us to reconstruct this space in a unique way. Moreover, any smooth ab- stractly given geoodular structure generates in a unique manner an affinely con- nected space with the natural geoodular structure isomorphic to the initial one. The above said means that any affinely connected (in particular, Riemannian) space can be treated as a purely algebraic structure equipped with smoothness. Numerous habitual geometric properties may be expressed in the language of geoodular structures by means of algebraic identities, etc.. Our treatment has led us to the purely algebraic concept of affinely connected (in particular, Riemannian) spaces; for example, one can consider a discrete, or, even, finite space with affine connection (in the form ofgeoodular structure) which can be used in the old problem of discrete space-time in relativity, essential for the quantum space-time theory.